So it’s another week and I’m back with yet another Ebay finds post but I’m really happy with this one and I hope you enjoy this one too. 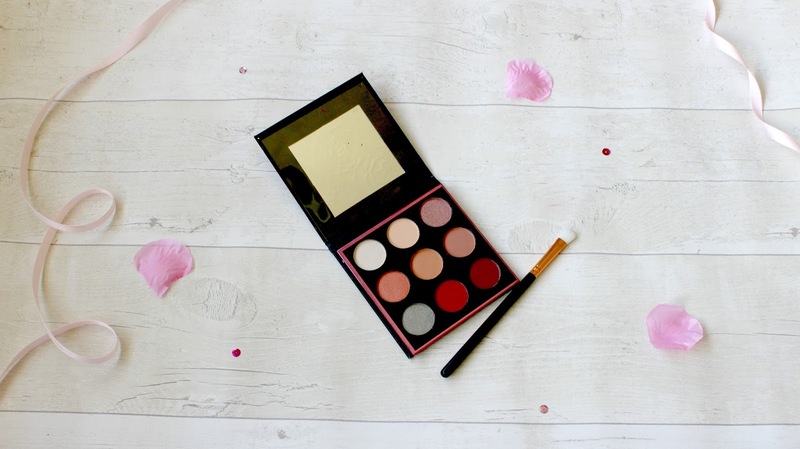 So I was searching Ebay for some palettes to do this kind of series with and this one came up for well under £10 and I decided to give it a go and see how it compares, Of course I don’t have the original palette but I normally do these posts to talk about the quality of the products and prices etc so I thought this would be a good palette to talk about so I decided to pick it up. I will talk about the packaging etc on this part of the post before I get into the actual palette itself so the box it came in looks identical to the original I think but again I have never owned the original so I have nothing to compare it to but the palette itself is a lovely compact palette which would be perfect for travelling as it has everything in my opinion. 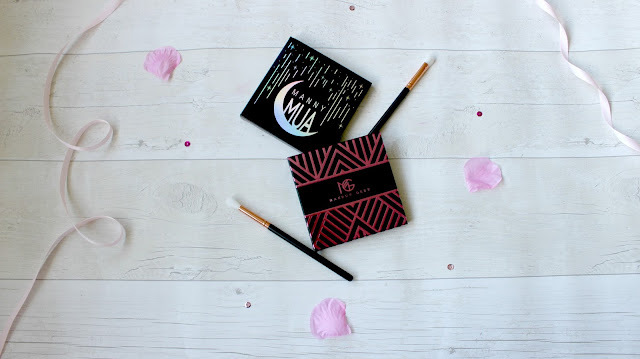 The palette is black with holographic packaging which I think is such a lovely touch I will admit the palette doesn’t feel cheap or anything like that which is always a bonus too – So first impressions I’m very happy overall. Onto the palette itself as you can tell it is a small palette as it only has 9 eyeshadows which 3 are shimmers and the rest are matte but I have to admit I really enjoy using matte shades now as I’m slowly working out how to use them to my advantage (I’m slowly getting more adventurous when it comes to eyeshadow!) so the three shimmers are very different shades but can be used for day and night in my opinion so the first is in the top corner which is a perfect brown shimmer which is a shade I use on an everyday basis and there is also a bronzed shimmer and the last shimmer is a blue/purple kind of shade I can’t really pin point what kind of shade this would be without applying to my eyes but I feel this would be such a lovely shade for a nigh time look. 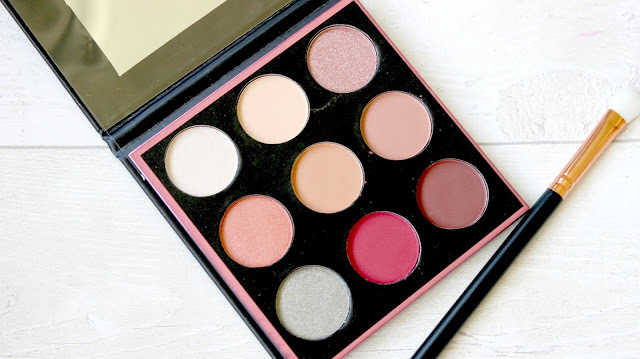 The matte shades are such a range from white all the way to a deep purple and I feel as though I would be a lot more adventurous when using this palette as it would put me out of my comfort zone but again I feel as though this palette would be perfect to take travelling and it also has a mirror which is always a bonus when It comes to palette’s. I thought I would share a better picture of the shades which I have looked online and they look so similar to the original palette but I honestly find this palette so versatile and the quality of the eyeshadows are amazing for the price which I will admit the darker matte shades take a bit longer to blend seamlessly but I don’t mind as the palette wasn’t too expensive so I would recommend this palette if you want to give the shades a go before you buy the original palette I would recommend this one definitely.